style is style: Le Bunny Bleu. The most lovely surprise is something desired showing up when you least expect it. 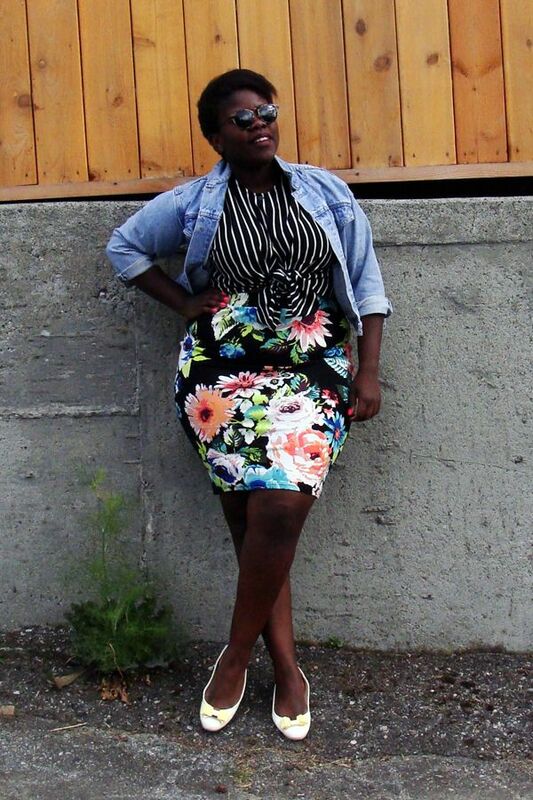 I stumbled upon this H&M skirt from last summer at my local Value Village, in mint condition and in my size. I remember lusting after the print but skipping over it when it was in stores. Luckily, the thrift gods were on my side, and brought said skirt to my proverbial doorstep at a fraction of the price. As for my real doorstep, Le Bunny Bleu graciously sent me these Ebony Bow flats recently. I couldn't wait to show them off! Sweet, classic, neutral; they are essentially my ultimate "I need to look put together but I cannot be bothered to put any effort today" shoe. Perfect for when there doesn't quite seem to be enough time! Uh, perfect outfit alert!! That skirt is too die for and has an awesome story to tell. What could be better than that? 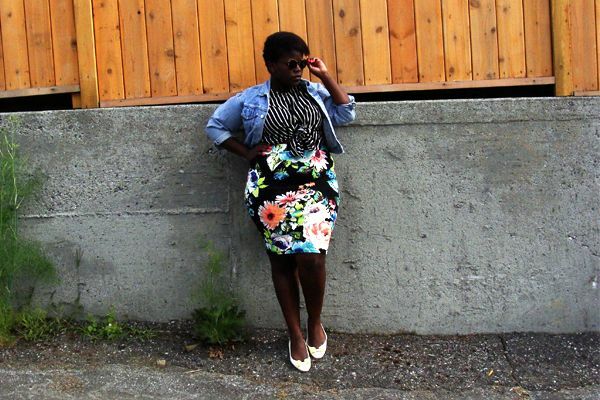 amazing outfit, I love the mixed prints! 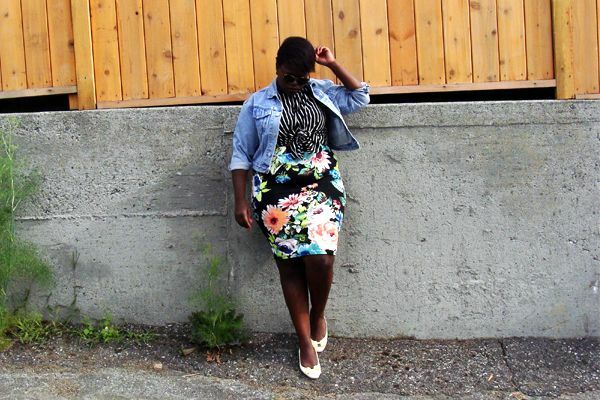 Denim is perfect with the floral print. That skirt is AMAZING! Oh my goodness, I absolutely love that pattern and it looks so good on you! That skirt is so amazing!! You look amazing!! Those flats are amazing!! love the skirt, great find! LOVE your proportions here--that skirt fits you amazingly. The Locals: Community Thrift & Vintage.